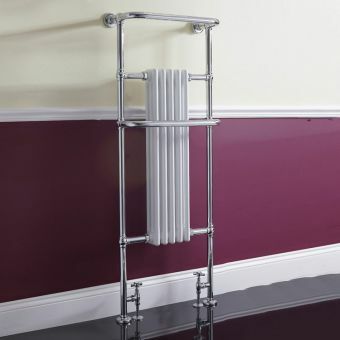 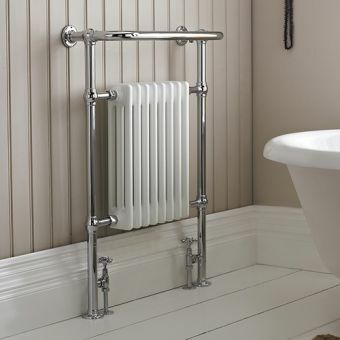 The Aemilia Traditional Radiator is designed around traditional design values, conjuring up echoes of the past while benefiting from the inclusion of modern technology. 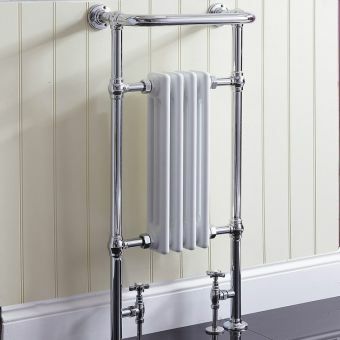 Its floor-mounted design adds a subtle but effective design angle, setting it apart from typical wall-mounted radiators. 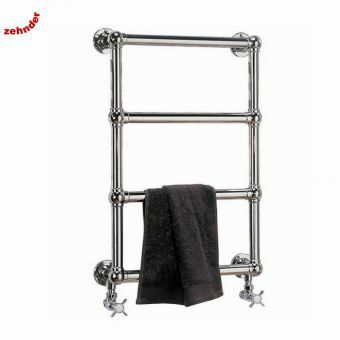 Six horizontal pipes radiate heat quickly and efficiently, while giving plenty of options for drying multiple towels simultaneously. 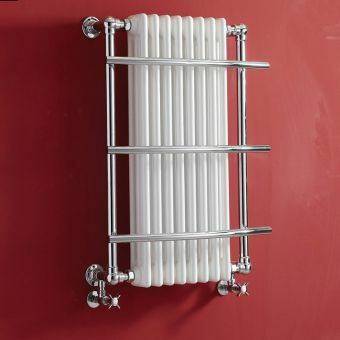 Fitted with matching valves, it is a complete piece with a distinctive character. 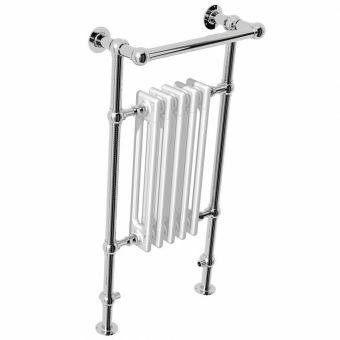 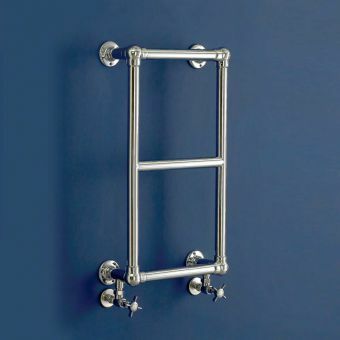 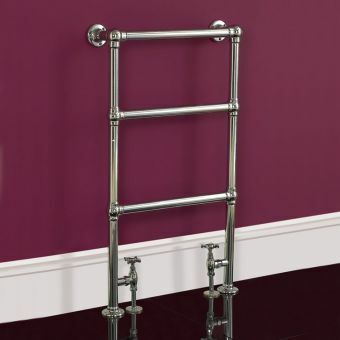 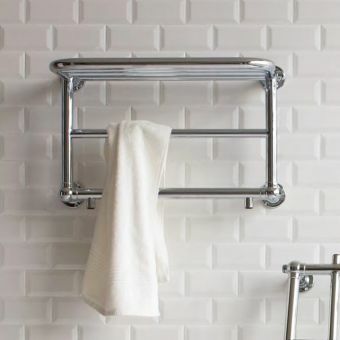 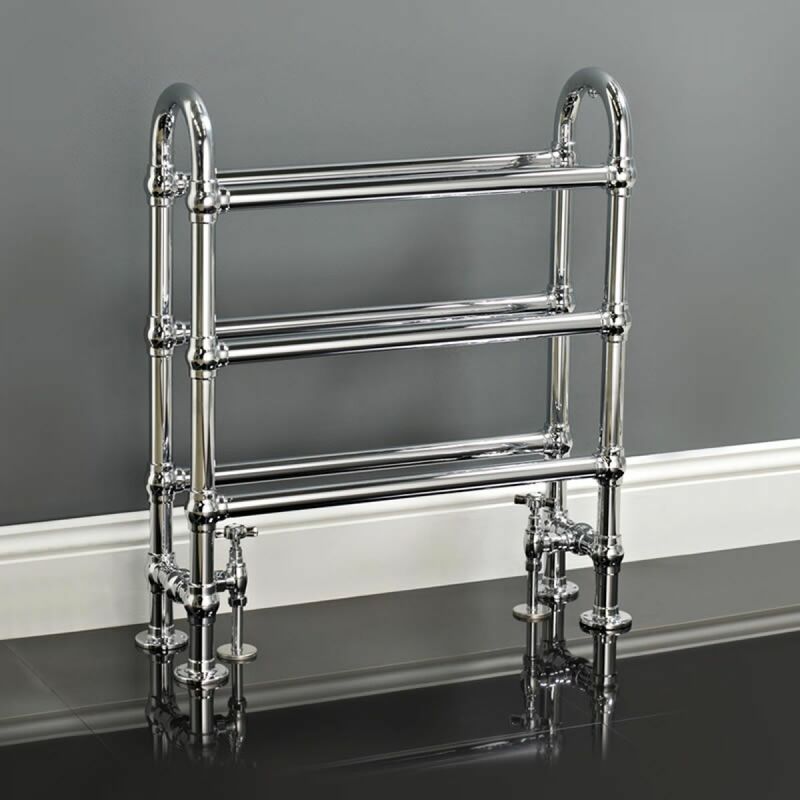 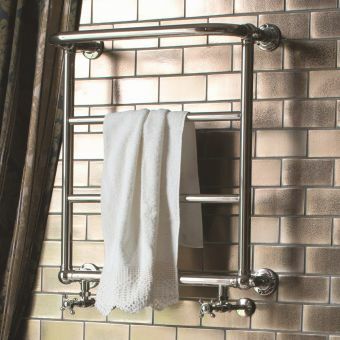 Its high polish chrome finish and attention to detail make this a choice candidate for use in the stylish interior that is looking for a vintage twist. 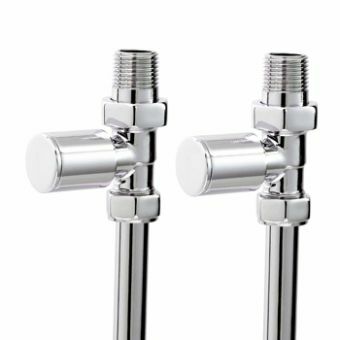 Fixture measures 680mm in length, 770mm in width and 220mm in depth.